We Are A Tampa Based Commercial Insurance Company Consisting Of 3rd Generation Insurance Professionals. Our Mission Is To Find The Lowest Rates For Comprehensive Business Insurance In The Property And Casualty Insurance Industry. We Offer The Lowest Rates Possible In Commercial Property And Casualty Insurance, Commercial General Liability Insurance, Commercial Flood, Commercial Automobile And Commercial Equipment Insurance. 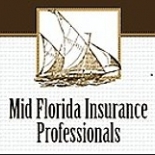 Mid Florida Insurance Professionals in Tampa is a company that specializes in Legal Services. Our records show it was established in Florida.